Yesterday I had a very productive day. I love those days! The days where you wake up at least somewhat refreshed, have a to-do list that’s pretty ambitious, and actually cross off everything on the list by the time you fall into bed. I used to have many more productive days than I do now, I was full of energy. Now, not so much, but I can still look on the bright side. There are lessons to be learned from life’s hiccups. Good, joyful, lessons! Not just the painful ones. Having a chronic illness really makes you view your life differently. Very little is taken for granted. So many tasks and things that never even crossed my mind for most of my life, now can sometimes take a lot of effort and can be very exhausting. The little things that I never paid attention to, are very vivid and have a much greater significance. My time, peace, and happiness is more precious now, as is everyone’s, but we typically don’t pay too much attention to that until some or most of it is being used up by something unpleasant. That’s all in the lesson, I suppose. Learning to deal with each day that is given to you in the way that it needs to be dealt with, and being OK with that. Well, after “dealing with each day that was given to me” in the form of a migraine all weekend, I was quite happy to wake up Tuesday morning feeling like I could cope with life without copious amounts of essential oils, ibuprofen, epsom salt baths, and ice bags. Yay! 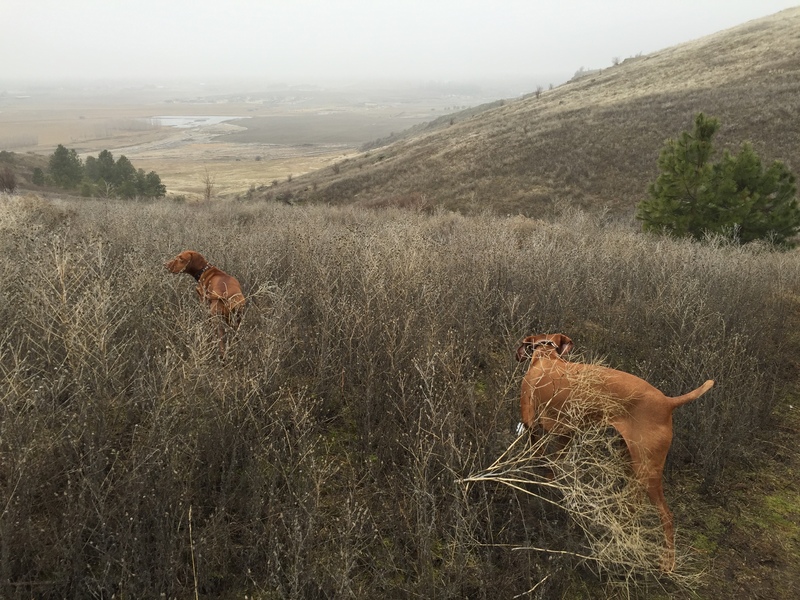 So off I went with the dogs for a hike. There’s a 552 acre conservation area 2 minutes from our front door. It was foggy and gray so you can’t see much, but I promise I’ll take better pictures on a clear day. You can see beautiful farm land for miles and miles! This is the entrance. 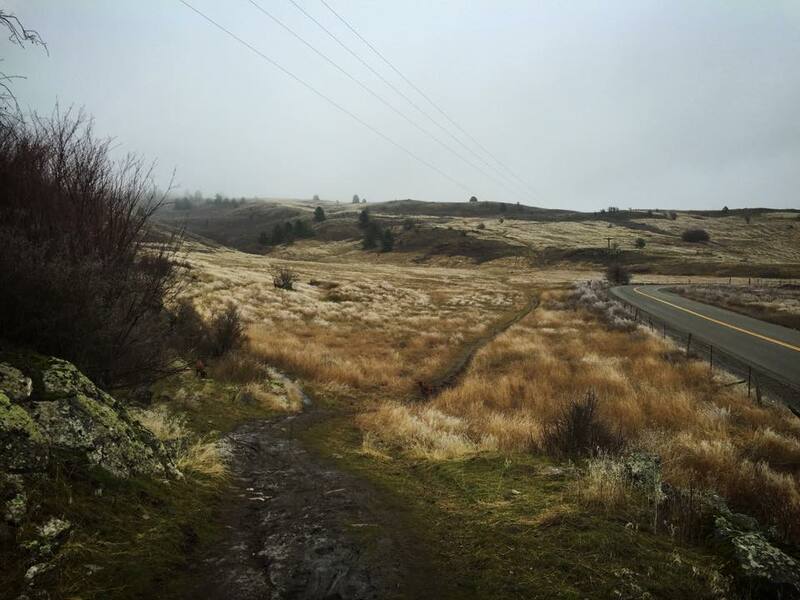 My goal is always to head all the way up into the hills and hike up to a water tower that’s up to the left. I’d say it’s about 3 miles round trip depending on which trail you take. Not too difficult, but a nice hike and good exercise. This is about half way up, looking down toward the entrance. Takes about an hour and 20 round trip. But I am a “slow and steady wins the race” kind of hiker and had to stop twice to catch my breath on a major incline. A few weeks ago after reading through Brittany Angell’s new cook book, Every Last Crumb (we’ll talk about that more in a minute), I purchased some Chestnut Flour. It’s been sitting in my pantry ever since, of course. 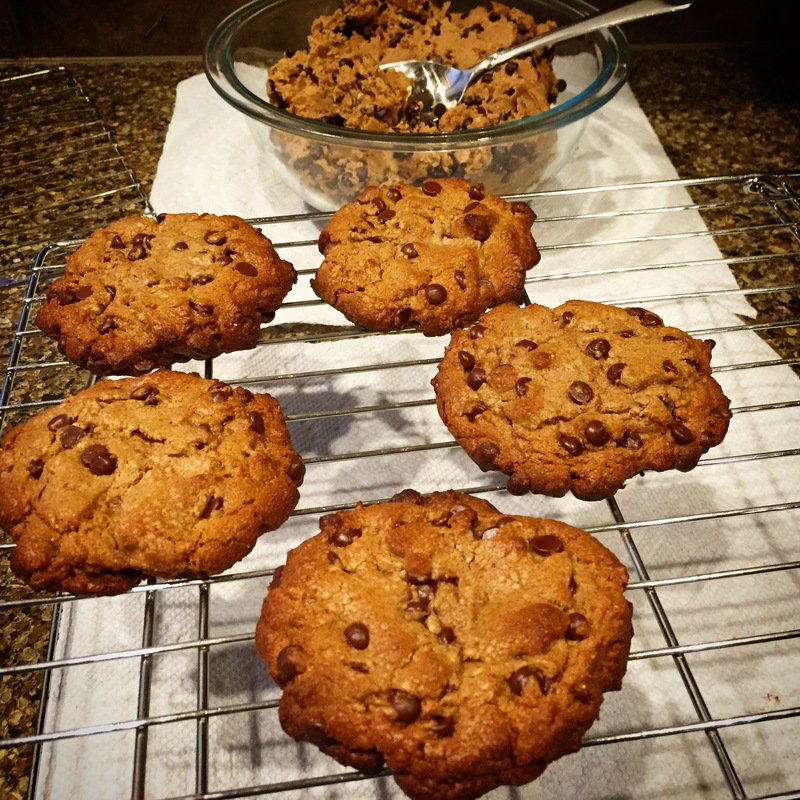 Last week my husband requested his favorite chocolate chip cookies, but I put him off until this week because I wanted to try to figure out a grain and sugar alternative. So after my hike with the dogs I simply Googled, “Chestnut Flour Chocolate Chip Cookies”. What I found was a recipe SO GOOD I’m pretty sure my world shifted on its axis a little. Perfect taste, perfect texture, perfect moisture. 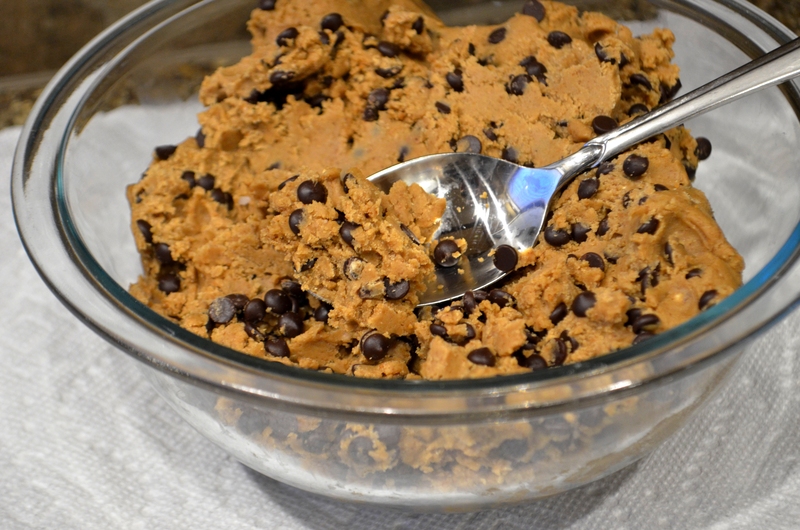 It’s as if chestnut flour was created for chocolate chip cookies. They are that good. I don’t know where James Trenda has been all my gluten-free and Paleo-ish life, but I’m so thankful Google found him for me! I used coconut sugar in place of maple sugar, and arrowroot in place of the tapioca because I’m abstaining from tapioca for a while and didn’t have maple sugar on hand. I also weighed all of my ingredients exactly like he advised. The dough will be thick, thicker than you think it should be, but simply press them out a little and all will be well. 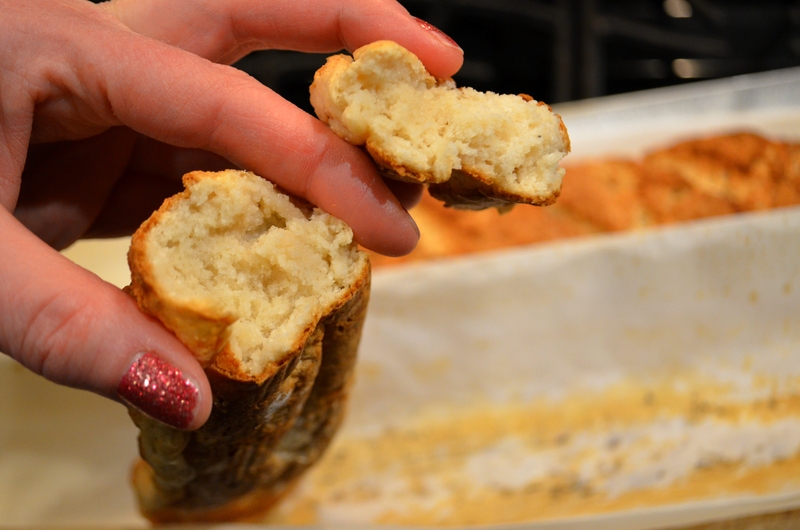 They are delicious warm or room temperature and are equally good today as they were yesterday. 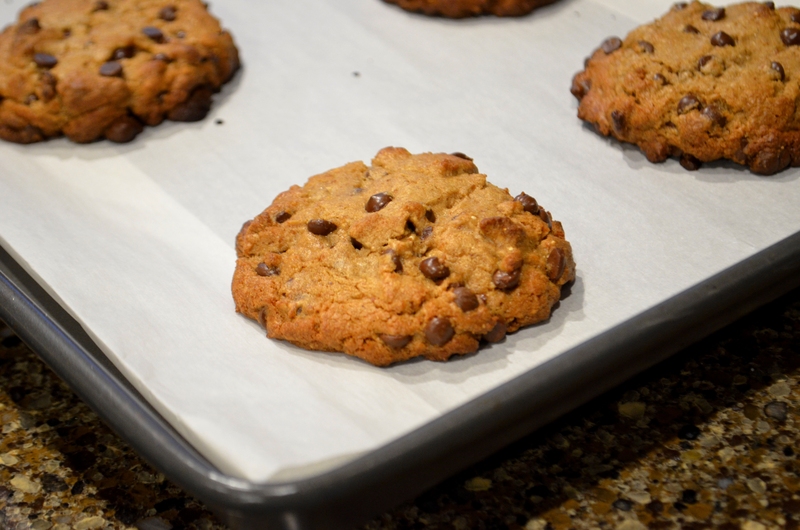 You can find the recipe for James Trenda’s “Ultimate Chocolate Chip Paleo Cookies” HERE. I am still doing my grain free trial and trying to eat an extremely nutrient dense diet. That means, LOTS of organic vegetables, a good amount of organic grass-fed meats, and a wide variety of colorful organic fruits. 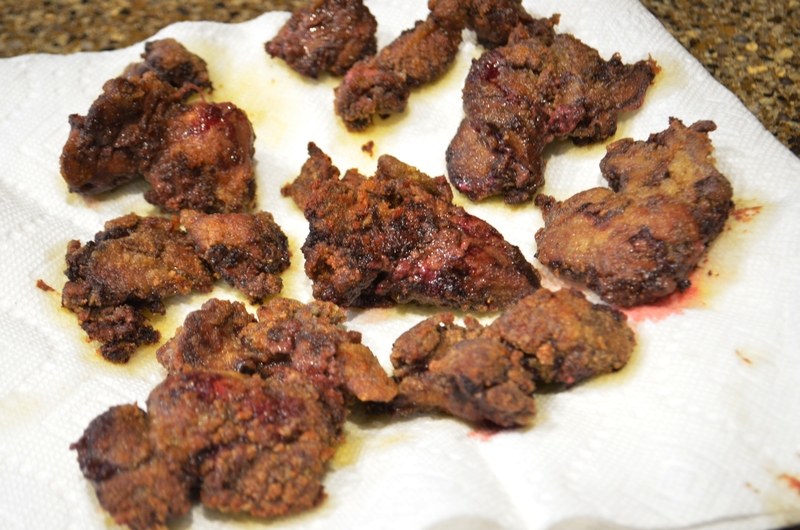 I fried up some organic free range chicken liver yesterday, as it’s important to also have organ meats now and then in a nutrient dense diet. I dredged it in a mixture of coconut flour, arrowroot powder, sea salt, ground pepper, garlic powder, and paprika and then fried them in avocado oil. 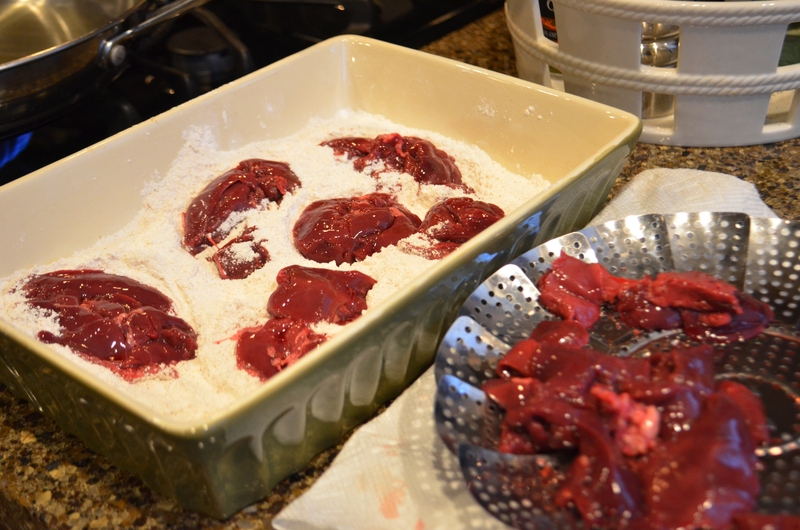 Luckily for me, I love liver. For those of you that think it tastes like an old shoe…the key is not to cook it to death. After munching on those fabulous cookies and snacking on fried liver, I focused my attention on baking Brittany Angell’s Baguettes. I keep this cook book on my counter because every day I think, today is the day I’m going to spend all day baking Brittany’s goodies. Which of course is wishful thinking, but one recipe every now and then is cool too. If you don’t have her new cook book, you need it. It is the grain free baking bible and I promise, her recipes will blow your mind. You can find it online and at select book stores for around $25 and it’s only $9.99 for your Kindle. It is worth every single penny and then some. Eating “Paleo” has its controversies and people will argue back and forth about what a real Paleo diet looks like. My opinion is that your diet should “look like” what makes you feel healthy and heals your body. Who cares what it’s called or whether you eat legumes or quinoa, brown rice, or potatoes, or no grains at all and live on kale? The important thing is that you figure out what’s wreaking havoc on your gut and get that out of your diet. Then, add in nutrient dense foods that will heal your gut biome and change the way you feel for the better. If you need to abstain from grains for a while or even forever, along with other inflammatory foods, it’s a Godsend to be able to have a piece of bread or baked item every now and then that won’t make you feel like hell. 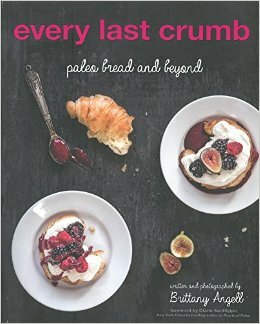 That’s where Brittany Angell’s, “Every Last Crumb” comes to the rescue. When I’m feeling good I like to be up and moving around and accomplishing as much as possible. 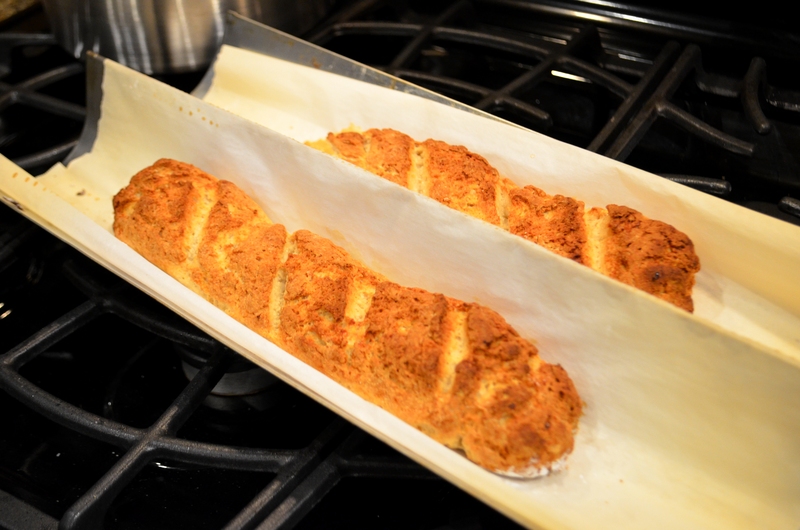 The baguettes are yummy, you need her cook book! Your chocolate chip cookies were wonderful, the taste and texture absolutely perfect. I have to admit it was all I could do not to scarf down all three during the short drive home…I forced myself to stop at one and a half.